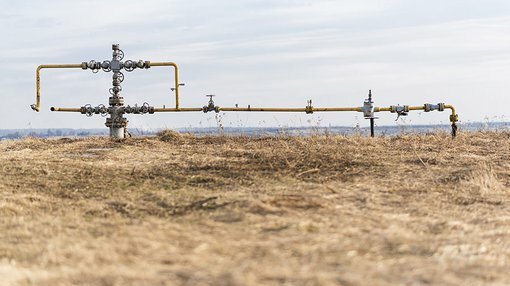 ASX gas explorer, Magnum Gas & Power Limited (ASX:MPE), today announced that it has commenced drilling at its Tulainyo 2-7 gas appraisal well in northern California’s Sacramento Basin. The Ensign Rig 587 is now onsite. In the past 24 hours, the rig equipment has been tested and pre-spud safety procedures have been carried out. The well is planned to a total, measured depth of approximately 1,700 metres (5,600 feet), and drilling operations are expected to take less than one month to complete. The Tulainyo Gas Discovery structure is a well-defined large anticline, with up to 91 square kilometres closure. It has a strong surface expression, gas seeps, and gas has been encountered here during historic drilling. MPE’s 60% owned subsidiary, Gas Fields LLC, is earning up to 33.33% (20% net) in the Tulainyo Gas Project via a joint venture with the project operator, California Resources Production Corporation (NYSE:CRC), a subsidiary of a NYSE-listed company, which is California’s largest natural gas producer. In 2015, CRC produced 44 million cubic feet of natural gas (or 7,000 barrels of oil equivalent per day) in the Sacramento Basin, which could supply all the homes in the City of Sacramento for nearly two years. MPE’s other partner is Cirque Resources LP, a private company based in Denver, Colorado, led by two-time Wildcatter of the Year, Peter Dea. Based on current prices, this project has a potential in ground value of US$6 billion, of which MPE has the ability to earn $1.2 billion. It should be noted though that MPE is a highly speculative stock, high risk stock and investors should definitely seek professional financial advice if considering this stock for their portfolio. California only produces a sixth of its annual gas demand, and is expected to import 98% of its natural gas requirements by 2025. Given this, if MPE manages to strike large, commercial gas quantities at its appraisal well in the coming weeks, it could stand to emerge as a significant disruptor in terms of these uneven supply-demand dynamics.